Epthianura tricolor Gould, 1841, Liverpool Plains, New South Wales, Australia. English: Tricolored chat, crimson tang, red canary; French: Epthianure tricolore; German: Scharlachtrugschmatzer; Spanish: Curruca Carmesí. PHYSICAL CHARACTERISTICS 4.7 in (12 cm); 0.4 oz (11 g). Brownish upperparts with white throat and crimson crown and underparts. 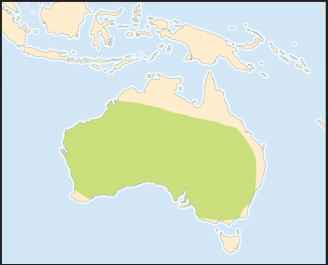 Inland, western, and southern coasts of Australia, may break out into southeastern and eastern Australia. Arid and semi-arid shrubland with saltbush, acacia, or other shrubs; occasionally, grassland or farmland. Small but highly mobile flocks in nonbreeding season. Metallic, whistling, and twittering calls. Takes insects and other invertebrates from the ground and low shrubs, occasionally from the air. Eats seeds and probes flowers for nectar. Breeds as loosely associated pairs. 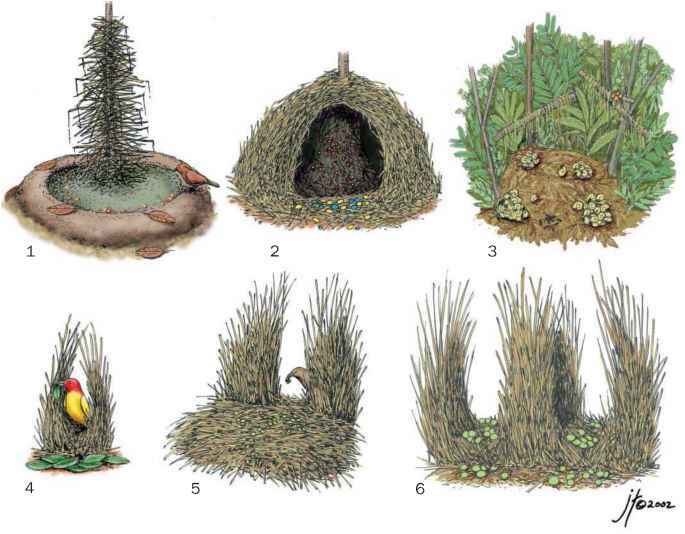 Builds cup nest in low shrubs up to 3 ft (0.9 m). Clutches are of two to five eggs; incubation by both sexes for 10-14 days; fledges at 10 days. Both parents brood and feed young, and show distraction displays. Not threatened. Common and widespread, but numbers vary greatly at any locality.